A stunning piece of history close to the center of Guangzhou, Sun-Yat Sen Memorial Hall dates back to 1931 when it was used more frequently for political meetings and commemorative activities than for art. In 1945 it was the site where the Japanese signed their surrender agreement. Today it is a multi-functional venue, and frequently holds large-scale national and international performances. 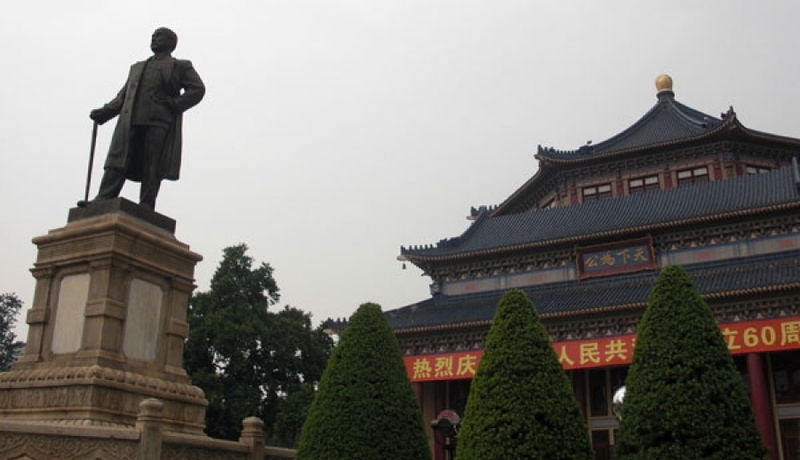 Sun Yat-sen Memorial Hall has held some of Guangzhou's largest shows. It’s also one of the largest theaters, seating more than 3,000 people. Because of the quality of its shows and its history, the memorial hall is one of the most respected performance spaces in China.